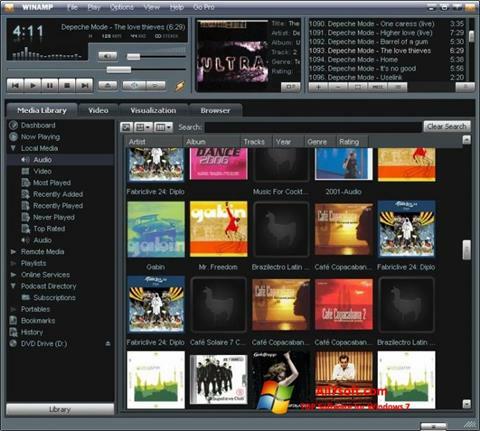 Winamp for Windows 7 - A small music player with which you can listen to most popular audio formats. The application has a simple interface, divided into several functional zones. Built-in equalizer allows you to change the frequency of sound waves, adding various effects. The program is able to synchronize with the CD drive and directly record the selected tracks. Users can activate the visualization function, which will be a "live" anagram for each song, depending on its pace. The player has built-in codecs, so it does not require an internet connection. You can free download Winamp official latest version for Windows 7 in English.